Old Town Quito, originally uploaded by burro come churro. 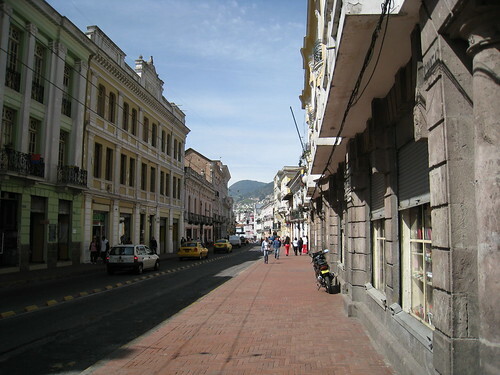 This is a large street in Old Town Quito. The sun really cooks you this high up. The old colonial buildings and mountains in the background sum up the flavor of Quito. Hey Clay, it be Yossi. I heard you got that back slappin hug and it was a first for hayley too. well, so glad i could help facilitate such a classically hilarious and enjoyable event. Anyway, just reading your blog here in Tepic, Nayarit, Mexico and gotta say, man, its pretty funny, soooo thanks for the good times! keep it up and i will see you in the spring!